Firstly, I wanted to share my submission to Secret 7", designed as cover artwork for the song Art School by The Jam. Whilst it wasn't accepted into this year's gorgeous collection of sleeve artwork, I'm still glad I met the personal challenge of responding to the brief and getting it in on time. 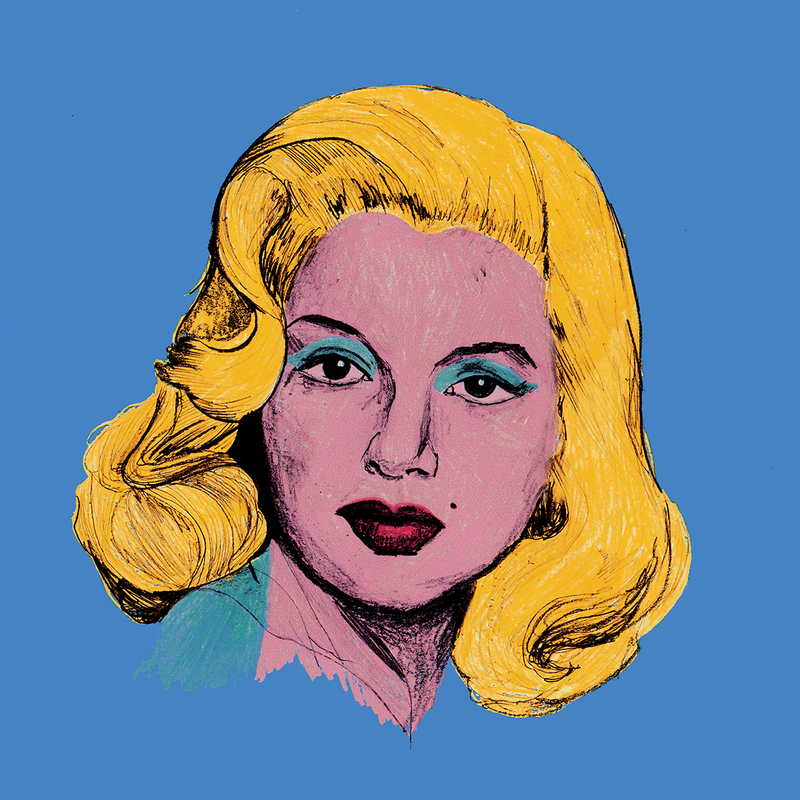 The design features Diana Dors (known as the British Marilyn Monroe), acting as a UK version of Andy Warhol's Marilyn Diptych for the UK band in my own pop art coloured pencil scrawl. As a piece I think it sums up the last month for me quite well, as, this design didn't come easily and was a bit of an experiment or creative fling with new territory. And sure, at the time I probably could've used the sleep I resisted in order to create it, but in the words of the American Marilyn herself: "Imperfection is beauty, madness is genius and it's better to be absolutely ridiculous than absolutely boring."